Jodi McMahon, MSAOM, EAMP received her Masters degree in Acupuncture and Oriental Medicine from Bastyr University. She also completed her Chinese Herbal studies in Shanghai, China. 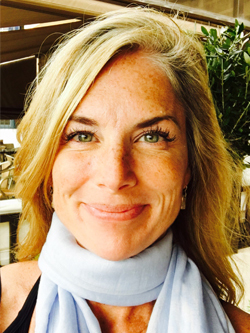 Jodi is a WA State Licensed Acupuncturist and Nationally Board Certified by the National Certification Commission for Acupuncture and Oriental Medicine (NCCAOM). Her practice focuses on trigger point acupuncture, which releases the muscle and/or muscles affecting range of motion which can cause pain. The trigger point release technique is great for athletes, resolving motor vehicle accident injuries, and all other acute inflammatory issues. Other specialties are: women’s health, stress management, emotional wellness, relief of headaches, and other chronic pain management. Her mission is to offer the most thorough, comprehensive, and compassionate care within the field of Chinese Medicine. By creating a calm and tranquil healing environment, Jodi’s patients are better able to let go of the daily stressors and focus on replenishing their body’s innate ability to heal. Her aim is to provide therapeutic benefits and results-oriented treatments.